PHOTOCOPIER ON RENT IN KARACHI RICOH MPC 2051 is an attention-grabbing color and efficient black-and-white photocopy machine in one compact system. Moreover, Today, organisations run lean and employees are expected to be smart, fast and versatile. The same holds true for MFPs. Furthermore, RICOH MPC 2051 gives you all of that—and more. In addition, powerful management tools make it easy to build and maintain highly productive workflows to streamline your document-related processes. Plus, a host of physical and logical security features give you multiple ways to protect your documents and your data. Exceptional performance from features such as internal finishing makes it a perfect system for centralised printing environment. Moreover, you can get rid of the hassle and expense of multiple personal printers and produce professional quality documents in-house. Furthermore, Smart System, Sustained Savings The combination of time saving technology and proven reliability all add up to an exceptionally low total cost of ownership. advantage of greatly reduced paper costs and more efficient document filing. the lowest Typical Electricity Consumption (TEC) values in the industry. MPC 2051 is an efficient color photocopier machine having much better color results.Run Fast which Finish Strong. automatic stapling and optional 2- or 3-hole punching. paper using the copy or print functions. 50-Sheet Automatic Reversing Document Feeder and up to five paper sources. the envelope feeder tray or bypass tray. Copier Rentals make perfect sense when you need a photocopy machine on rent in Karachi for corporate events, company marketing projects, year-end financial reports, temporary offices, convention services, and special projects. 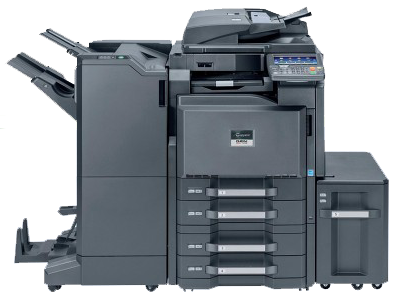 As a result our Copier Rentals are available for rent for a day, a week, the month or even longer up to 36 months. Remember renting copiers is the most flexible way to increase employee productivity during peak work loads or corporate projects. In addition, Copier Rental saves money because it can reduce capital expenditures when they are not absolutely necessary. Paragon offers flexible and affordable copier on monthly rent basis for many different applications. Whether you need it for four days or four years, we can work with your needs. You pay month-to-month for as long as you need it. This gives you totally flexibility over photocopier machines. Moreover, If you would like to upgrade copier, renting you copier gives you the complete ease and relaxation to help your business grow and flourish without worry.